If you are seeking a professional removals company to carry out your move from London to Germany, you have come to the right place because Moving Service is the ideal removals company for you. We offer international removals for great prices. Yes! You heard us correctly. Our prices are very reasonable, so you can afford to have help and support with your move from London to Germany. You don’t have to try and do it all by yourself. Help is indeed available. We understand how chaotic moving can be, and moving outside of your country is even more chaotic because there is just that bit more to think about and consider. However, when you hire us for you move, we can make it really smooth. To make your move easy and hectic-free, we provide our clients with a moving checklist. The reason we do this is to make sure clients know what to do before they move and this provides structure to your move. Organisation is a key step to a successful move. Without organisation, you are left with a sloppy, messy move. Nobody wants that. So leave it to us, the experts, to handle your move. Call now on 020 8746 4402 to book a date. 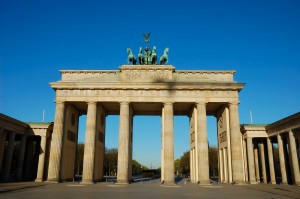 Germany, a country well-known to most, is the largest country in central Europe. It has a staggering population of 81,799,600. It is bordered by Denmark, Austria, Switzerland, Poland, France, Belgium and Luxembourg. To travelers, the most interesting cities to visit in Germany include Berlin, Frankfurt, Bremen, Hamburg, Munich, Dusseldorf, and Cologne. There are numerous cultural attractions in Germany that are must-see to tourists. 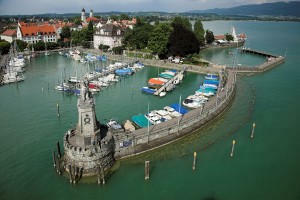 Here are some places to see: Romantic road, neuschwanstein castle, and many more. The currency is Germany is Euro, as it is a country within the European Union. Of course, German is primarily spoken in the country. However English and a range of other languages are spoken in Germany. It is quite common for German people to speak more than one language. Do You Really Want to Waste Your Time Packing? Moving is definitely a tedious task. There’s no doubt about it. As most people work full-time, they have very little amount of time for anything else. And packing, unfortunately, is extremely time-consuming, and it’s energy draining too. It would be a risk trying to carry out your move when you are feeling tired and groggy from work. However, do you really want to waste your free weekends planning and packing? Probably not, we presume. Moving is not a chore that can be carried out in a couple of spare minutes. It requires a lot of time, effort and dedication. We strive to give our customers the best service of our ability. Moving from London to Germany should not be a tedious task. As it is a new venture, it should be, in many ways, exciting. Anything but tedious. However, we do understand that moving can be hectic. But, we can solve that problem that for you. In addition to our international home removals we offer a range of other removal services in London including packing and boxes, man with a van, storage, home removals, and commercial removals. Or, if you have any other needs, let us know and we’ll see what we can do to help. There is no need at all for you to feel under pressure with this move. It should be exciting. Find out more about our services and the benefits to using us by calling our office on 020 8746 4402. We will be happy to answer any of your questions and we’d happily give you any advice you need. Don’t sit around getting stress – get in touch today.